The elegant ‘tavern @ the rocks’ has come to market, offering a large-format operation and opportunity in Perth’s growing northern corridor. 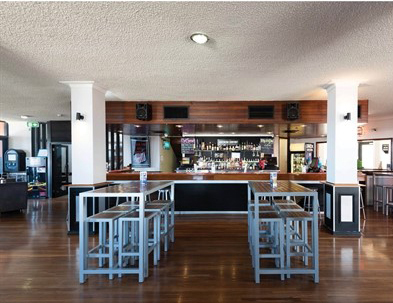 The tavern is a family-owned and operated venue overlooking Two Rocks Marina, around an hour’s drive north of the Perth CBD. It offers a public bar with large TAB area, function room, terrace, restaurant dining, lounge bar and beer garden, on a 2,864sqm site with capacity for 912-pax and ample parking. It adjoins the local shopping centre, anchored by IGA, alongside speciality retailers. The tavern’s large block also holds longer-term redevelopment potential as residential or commercial. The family has engaged CBRE’s Ryan McGinnity and Chloe Mason to sell the venue, seeking $2.5 million, for the land and all business assets. “The tavern @ the rocks is located in close proximity to large residential estates at Eglinton, Yanchep and Alkimos,” says McGinnity. Tavern @ the rocks is being sold via Private Treaty.